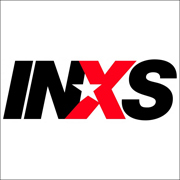 PERTH, Australia (CelebrityAccess MediaWire) — After 35 years of making music, Australian rock group INXS has announced that they are calling it quits. According to a report in the Brisbane Times, the band took an opportunity during a Nov. 11 performance in Perth to say their goodbyes from stage, with drummer Jon Farriss telling the audience that it was their final performance together. Farriss went on to note that the band had taken pains to avoid making an announcement before the final show. Originally formed as the Farriss Brothers in 1977, the band broke the top ten in the US with 1985's "Listen Like Thieves" and then 1987's multi-platinum "Kick." While the band remained popular in Australia, their luster faded in the U.S. during the 1990s, a decade that was also marked by the suicide of frontman Michael Hutchence in 1997. In 2005, the band made the news by staging a reality television show on CBS to replace Hutchence, eventually selecting Canadian singer J.D. Fortune as their new vocalist.